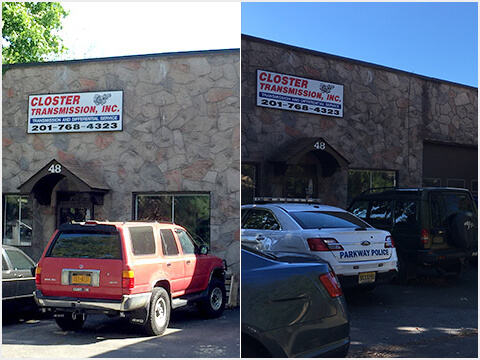 Closter Transmission, Inc. is a sought-after transmission shop in Bergen County for cars, trucks and exotic vehicles. Whether your car is of a domestic, foreign or European make, our auto specialists have the expertise to troubleshoot your transmission problems. We service residential, corporate, and municipal clients. For vehicles having transmission concerns, we are happy to provide you ‘free of cost’ towing! Call us today at 201-768-4323201-768-4323 to find out more details about our customer-friendly auto repair services. Locally owned and operated, we have been in the transmission repair business since 1990. We are ATSG Certified and a proud member of the NFIB, which means that your vehicle is in safe hands of qualified personnel when it arrives at our shop. Some of the clients who have entrusted our services include Palisade Interstate Parkway Commission, Tenafly DPW, Closter DPW, Rivervale DPW and Dumont DPW.